﻿ Focusun - the most professional ice making machines manufacturer in China. Focusun refrigeration (Shanghai) Corporation is a world leading refrigeration equipment manufacturer. We have earned our position as a reliable supplier in our long diverse portfolio of global customers, through consistency and efficiency in the quality of our products and services. Focusun devotes itself to researching, developing and manufacturing ice making equipments, water cooling equipments, automatic systems of ice storage and delivery. Focusun is proud of its indefatigable pursuit for perfection in world advanced processing technology and experience of ice making system. That is why 80% of our production spare parts are from only internationally proven and recognized suppliers. The scope of our reach is enormous; and we are still growing. Focusun is proud of its positive impact it is creating around the world and we are further making greater efforts to take the leading role in all oriented fields. We are more than honored to share with you all of our ground breaking success in advanced technology. Find Focusun's Asia-Pacific headquarters in Shanghai, China. 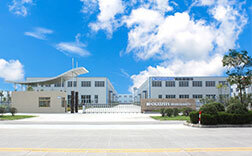 And the production and R&D center in Taizhou, Jiangsu province, covering an area of 33,600 square meters. Focusun has over 600 employees around the world with an annual turnover of over 50 million USD. Focusun aims to continue strengthening its leading position as a major global supplier of refrigeration technology and cooling system in the refrigeration industry by providing the best and quality performing machines at cost-effective prices. The company will continue growing its ice machine business while also expanding into the total refrigeration field to guarantee continuous supply of high quality ice solutions with exceptional efficiency and reliability.